A rare opportunity to reside in one of Annandale’s most beautiful locations. Original owners, pride of ownership is obvious. Step away from your everyday life and come home to peace and quiet with only one neighbour and enjoy the stunning gardens and grounds befitting a national park. The outdoors is brought indoors through the clever use of glass and angles to take advantage of the location. 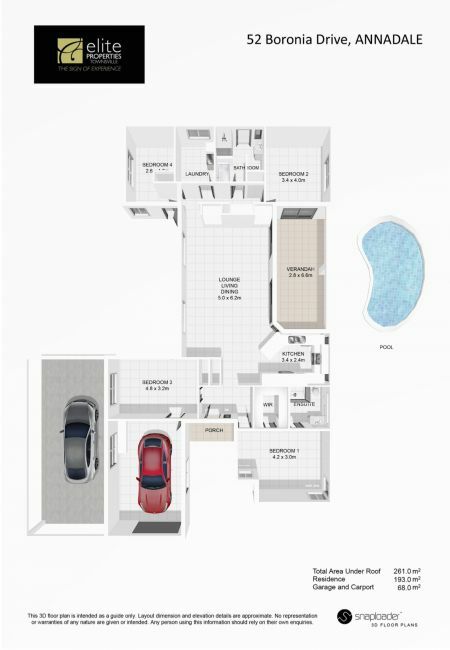 4 bedroom, main ensuite/WIR. The central kitchen is the hub of this home, choose the expansive living room, or the fully enclosed outdoor patio perfect for all weather entertaining overlooking the resort pool and gardens. The side access has a purpose built carport for a caravan or boat. A special property offering a wonderful lifestyle, an inspection will impress. The 898sqm allotment with beautiful views of parkland and Castle Hill to the north. What plans did you have for the home, which you may not have completed? We designed our home with assistance of CSIRO building notes. This ensured correct orientation, ventilation and insulation. We wouldn’t change a thing. Light and airy relaxing atmosphere in the living room and on the insect proof veranda, looking over the pool and parkland. The “wow” factors the patio and outlook. What are the 5 things about your home? Home built by Jock Lannery a noted Townsville builder.